Ada Neschke was born on May 7, 1917 in Santa Barbara, California and passed away on December 31, 2009 in Campbell, California. She was 92 years old. Irina Golovan was born on April 12, 1914 in Russia and passed away on December 30, 2009 in Mountain View, California. She was 95 years old. Po An Yang was born on February 26, 1957 in Taiwan and passed away on December 28, 2009 in Stanford, California. He was 52 years old. Robert Barlow was born on April 30, 1922 in Shelbyville, Indiana and passed away on December 17, 2009 at his residence in San Jose, California. He was 87 years old. Robert Frazier was born on March 27, 1940 in Antioch, California and passed away on December 14, 2009 at his residence in San Jose, California. He was 69 years old. Willard Boetticher was born on May 18, 1928 in Klamath Falls, Oregon and passed away on December 18, 2009 in San Jose, California. He was 81 years old. Funeral Service: Saturday, December 19, 2009, 9:00 a.m. at All Saints Chapel, Gate of Heaven Catholic Cemetery, Los Altos, CA. George Evans was born November 29, 1947 in Youngstown, Ohio and entered into rest on December 13, 2009 in San Jose, California. 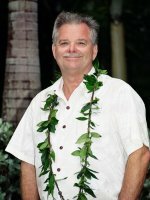 George is survived by his loving wife: Lisa Evans, his children: Julie Valdez (Joe), Tommy Evans (Jennifer), Michael Evans (Leanne), and Kerry Cornejo, his mother: Katherine Webster, 10 grandchildren, and numerous other relatives and friends. A funeral service will be held on Saturday, December 19 at 9:00 a.m. in the chapel at Gate of Heaven Catholic Cemetery, 22555 Cristo Rey Dr, Los Altos, CA. Casual Hawaiian attire is requested. Caroline Velasquez passed away at the age of 45 surrounded by family and friends at El Camino Hospital in Mountain View on December 8, 2009. She was born in Mountain View and lived her whole life in Sunnyvale. She is preceded in death by her parents Leonard and Dorothy Velasquez. Family and friends are invited to attend a visitation and memorial service on Saturday, December 12, 2009 at 10:30 a.m. at Saint Simon's Catholic Church, 1860 Grant Road, Mountain View. 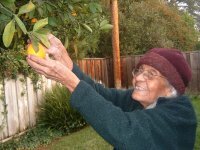 Graveside Service: Thursday, December 10, 2009, 11:00 a.m.
Riva Kotlyar was born on March 15, 1921 in Ukraine and passed away on December 6, 2009 in San Francisco, California. She was 88 years old. Visitation: Friday, December 11, 2009, 10:00 a.m. to 6:00 p.m. at Stone Chapel, San Jose, CA. Jose Borroel, as he was known, was born on May 20, 1966 in Zacatecas, Mexico and passed away on December 6, 2009 in San Francisco, California. He was 43 years old. Sarah Mendoza was born on August 25, 1955 in San Jose, California and passed away on December 2, 2009 in San Jose, California. She was 54 years old. Graveside Service: Friday, December 4, 2009, 1:00 p.m.
Memorial Service: Saturday, December 12, 2009, 2:00 p.m. at the Chapel of the Lincoln Glen Manor, 2671 Plummer Ave, San Jose, CA (behind Lincoln Glen Church). Dorothy "Aunt Dot" Chlebowski was called home to be with our Lord Jesus after 97 years of a faithful and loving life. 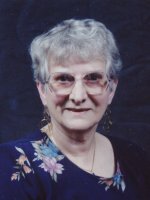 She will be greatly missed by her nieces Linda (Ron) Vanderbyl, Judith (Jim) Berry, and their children and grandchildren. Shirley Henry was born on September 9, 1927 in Cincinatti, Ohio and passed away on November 23, 2009 in San Bruno, California. She was 82 years old. Zhi Zhou was born on February 5, 1929 in Juang Dong, China and passed away on November 18, 2009 in San Jose, California. He was 80 years old. Thomas Osterman was born on February 5, 1959 in Whiting, Indiana and passed away November 16, 2009 at his residence in San Jose, California. He is survived by his sons, Nathan and Matthew Osterman. 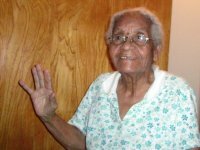 Dora Mae Stewart, age 81, passed away on Sunday, November 15, 2009. 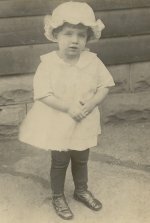 She is survived by her husband Robert W. Stewart and son William Mantoth, along with her siblings Virginia Gettle, Gilbert Crane and Floyd Crane. 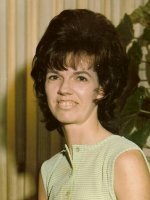 Carol J. Carter was born on January 15, 1939, in Sacramento, California and passed away peacefully on November 8, 2009 in San Jose, California. She was 70 years young. 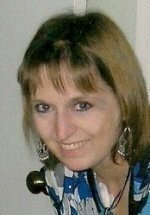 Carol is survived by her beloved and devoted sons Jon L. Carter and Brian G. Carter, granddaughter Vicki Wienand, great-grandchildren Vylette Wienand and Ace Wienand, and numerous other family members and friends. Carol loved crossword puzzles, playing cards and gambling from time to time. She made this world a better place to be. To celebrate Carol's life and honor her and the many joyous memories we all share of a wonderful mother, grandmother, friend and loving spirit, the family invites you to join them on Saturday, November 21, 2009, 1:00 p.m at 1349 Evans Place, Livermore, CA 94550. Funeral Service: Saturday, November 14, 2009, 11:00 a.m. at True Vine Baptist Church, San Jose, CA. 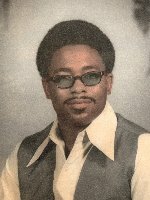 JOHN THOMAS CLARK was born on August 18, 1945 to Hosea Clark Sr. and Dorothy Jean Clark both of Dothan, Alabama. He was the oldest of eight children. In his hometown of Dothan, Alabama, John attended East Highland Elementary School and went on to graduate from Carver High School in 1963. Later, he enrolled in a technical training school for two years because of his desire to achieve a quality education and become successful in his future. Some of John's first jobs included being a brick mason, where he worked alongside his brothers, and a restaurant dishwasher. Because John was the oldest sibling in his family, he strongly believed in "taking care of home" and assisted his mother in ensuring that his family would not have to struggle. John's determination led him to join the U.S. Navy in 1967, starting from the very bottom ranks only to climb his way up to becoming a uniformed officer during a time when racism was prevalent and common towards Blacks. However, "Big Daddy" endured any obstacle put before him and made his career life an example of courage, strength and honor. Some of his many military tours included stays in the Philippine Islands, Japan, the Middle East, Africa, Europe, and Vietnam to name a few. 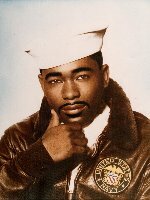 John served his country with honor and pride in the U.S. Navy for 27 years and retired as a Lieutenant. While in the military, John met his beloved wife, Florencia (known fondly to him as "Honeycomb"), during his station in the Philippine Islands. It did not take long for them to realize their attraction to one another and that their common interests and goals would lead to 36 wonderful years of marriage. John and Florencia moved to San Jose, CA and considered it their home. He did not believe in constantly uprooting his wife and their children, Kathy and Charles, and would oftentimes make the difficult decision of having to leave them behind while being stationed in other countries for months and years at a time. However, Flo kept her promise to be the best wife and "take care of home" in his absences. Their marriage was a clear illustration of unconditional love and devotion. Throughout his life John was blessed to be a loving and caring father and friend to his five children. He instilled strong morals and ethics, also known to him as "home training", in all of them and was proud of the many accomplishments and successes in their lives. Additionally, John was blessed to be a grandfather to four beautiful grandchildren who he loved to no end. John's children and grandchildren meant the world to him and they feel the same sentiments for him. 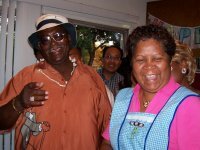 John was an avid cook, fisherman, gardener, handyman, business man, and active member to several community organizations. His family and friends considered his cooking and fishing skills to be unsurpassed. In fact, many of his friends and family considered themselves to be students while "Master John" instructed them in his many hobbies. 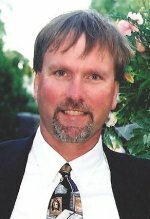 John also loved to be among family and friends by throwing some of the largest and best social gatherings in all of San Jose. You could find him playing his favorite Blues songs and slam cards in pinochle tournaments; or playing Bingo with his wife and close friends; or even on the phone for hours-at-a-time making sure that he stayed connected to loved ones on a daily basis. John's love for life, family and friends could not be ignored by all who knew him. His warm smile was infectious and his giving heart held no limits. John's legacy will live on in the hearts of us all. 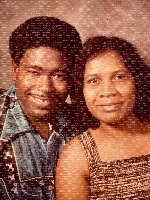 John is preceded in life by his father, Hosea Clark (Dothan, AL) and mother, Dorothy Jean Clark (Dothan, AL). 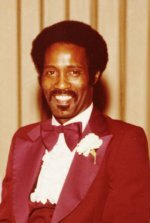 He leaves the following to celebrate his life: his wife, Florencia "Flo" Clark (San Jose, CA); two sons, John T. Clark II (Dothan, AL) and Charles T. Clark (Santa Clara, CA); three daughters, Sheary Davis (Dothan, AL), Kristie "Carla" Clark (Hawaiian Gardens, CA), and Mary "Kat" Clark-Tillman (San Jose, CA); three brothers, Hosea Clark (San Jose, CA), Roosevelt Clark (Dothan, AL), and Lynwood Crittenton (Ashford, AL); four sisters, Martha Saffold (Dothan, AL), Vivian O'Neil (Kileen, TX), Linda Davis (Dothan, AL), and Glenda Dawsey (Dothan, AL); four grandchildren, Ieisha "Boobie" Ramirez (Hawaiin Gardens, CA), Zamya Debose (Dothan, AL), John T. Clark III (Dothan, AL), and Dallas T. Clark (Santa Clara, CA); and a host of aunts, uncles, nephews, nieces, and cousins. 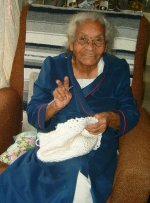 Maria Sotelo was born on November 30, 1922 in Zacatecas, Mexico and passed away on October 28, 2009 in San Jose, California. She was 86 years old. Soghra Yassini was born on March 14, 1920 in Iran and passed away on October 26, 2009 in Fremont, California. She was 89 years old. Donato Barlaan was born on November 4, 1956 in the Philippine Islands and passed away on October 16, 2009 in San Jose, California. He was 52 years old. 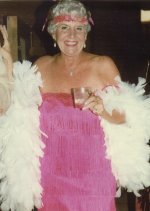 Patricia Friend was born on July 6, 1929 in San Fernando, California and passed away on October 6, 2009 at her residence in Cupertino, California. She was 80 years old. Funeral Service: Friday, October 9, 2009, 10:00 a.m. at Saint Mary's Assyrian Chaldean Catholic Church, Campbell, CA. 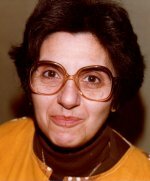 Maryam Yooeil was born on December 3, 1931 in Iran and passed away on October 5, 2009 in Los Gatos, California. She was 77 years old. Graveside Service: Saturday, October 10, 2009, 1:00 p.m.
Angelita Tiosen was born on March 20, 1934 in Dagani Leyte, Philippine Islands and passed away on October 2, 2009 in San Jose, California. She was 75 years old. 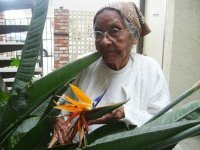 Rosa Ramos Landrau passed away on Wednesday, September 30, 2009 at the age of 93. Rosa was born in Rio Piedras, Puerto Rico on August 30, 1916. She was a mother, a sister, a grandmother, a great-grandmother, a confidant, a sister in Christ and a best friend. She entered eternity with her family around her, loving her, talking to her, comforting her and praying for strength to hold them through the next wave of what was to come. As her youngest daughter, Rebecca Landrau, read Psalm 23 in her native language (Spanish) she had taken her last breath into eternal rest as the angels took her into the arms of Jesus. It was a relief that she was no longer in pain. She went with the Lord with a smile in spite of the pain she was suppose to be in that will forever be etched on her face. A smile of wonder, joy and confidence in each crease of her grin showed everyone she knew peace in spite of sadness. She was a great humanitarian to those who came across her. She taught us lessons through her life examples that her life was a mission. Her mission in life was to get as many to know Christ as she could. Ms. Landrau was a missionary of the church at the Iglesia De Dios Pentecostal, M.I. 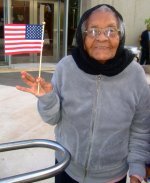 She helped to found the church that is still in vibrancy today, which is located on the corner of King Road across from the Mexican Heritage Plaza in San Jose. Her hobbies included praying, Bible reading, music, embroidery, baking her famous bread pudding "Budin" and meatloaf. In New York she won the gold award for the "Best Cook of the Year" at a food bake off sponsored by her church. With her creative hands she created the church flag for the women's ministry, in which, she hand embroidered the signature dove logo. She not only taught the children's Sunday school but also directed the adult and children's plays. She held the title of treasurer and bearer for communion for many years. She was known for her payers but most of all for her enthusiasm and high-spirited personality when she thought the church was "too quiet." She would walk down the main isle and stop when she reached the middle of the church, raise her hands and shout, "¿Quien vive?" The church would promptly respond, "¡Cristo!" She then would ask, "¿A su nobre?" Church response, "¡Gloria!" ("Who lives? Christ! Give his name? Glory!") The energy would rise in the church and be filled with His Holy Spirit! Everyone remembers her unforgettable and uplifting inspiration. Those who were close to her would say she was full of life, inspiration, had a great sense of humor, was high-spirited, loving, caring, and always gave good advice. She was a woman of great wisdom. Rosa not only taught her children about Jesus but her grandchildren who are now teaching the Gospel to her great-grandchildren and generations to come. In her last days Rosa always had praise on her lips every morning, noon, and night. And in her pain she would shout praises out to the Lord so powerfully one could feel the presence of God in the room. 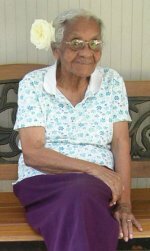 Rosa Ramos Landrau lived a long life of 93 years and loved God with all of her heart. She was a great example to everyone she met in showing that she knew who The Lord our Father really is. She lived the life everyone would want to lead; missionary, adviser, counselor, mother, but most of all friend. And that is exactly how we ought to live our lives... knowing that God is going to greet us on our last day on earth, with the assurance that He is the everlasting Father. John Near, longtime and beloved history teacher at The Harker School, passed away at home - with his wife and daughter at his side - after a four-year journey with colorectal cancer. John's career at Harker spanned 31 years as a middle and upper school teacher, coach and department chair, and in spite of the cancer, he taught full-time until May. Over the years John inspired countless students to love history, and more recently, he and his family touched the entire community with their life-embracing dignity and courage in the face of great adversity. 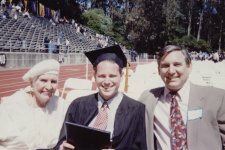 Minnesota-born, John moved to the Bay Area when he was three, and graduated from Del Mar High School and the University of California at Santa Barbara. 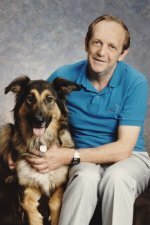 John began teaching world history and geography at Harker in 1978. For many years, he taught eighth grade U.S. history; in 2000, he moved to the newly launched upper school where he served as department chair and taught AP U.S. History and AP U.S. Government and Politics. In the classroom, John represented a unique blend of gravitas and heart that brought out the best in his students. He challenged his students with his legendary steely gaze, but they always knew they had his unerring support. The students returned his affection by inviting him, on multiple occasions, to deliver the Baccalaureate address, an end-of-year farewell to seniors. John also loved sports, and was a natural athlete. He played basketball and golf in high school - and continued both for many years - and coached several sports at Harker, including football, basketball, soccer, softball and, in more recent years, girls varsity basketball. Being in a John Near classroom or on a team was about infinitely more than just learning history or basketball. It was about life lessons, integrity, truth to oneself, goodness and honesty. John's piercing insight always advocated for policies that promoted teaching excellence, institutional kindness, and most importantly, care for students. After a lengthy faculty dialogue, John would sometimes say, "That's true, but what about..." and typically astonished the room with uncommon common sense on how we ought to think about teaching and children. This year, John was awarded Harker's Phyllis Carley Lifetime Service Award for his tremendous career at the school. The history department also named the annual history award given to an outstanding senior in the subject the John Near Excellence in History Award. Finally, the Near family has endowed the John Near Excellence in History Education Endowment Fund to promote professional development and pedagogical excellence in history education. Family members missing John immensely are his wife (and forever girlfriend) Pam Dickinson; daughter Casey Near; parents Jim and Pat Near of Hawaii; brother Bob Near of Aptos; brother Randy Near and wife, Sherrie, of Gilroy; sister Nancy Lawton and her husband, Tyler, of La Jolla; brother Rob Vanderhoof and his wife, Helen, of Grass Valley; two brothers-in-law and their partners, Bruce and Amy Dickinson, and Jimmy Dickinson and Jan Mallory; and many Near and Dickinson nieces and nephews. John was predeceased by his mother Marguerite (Berg) Near. His closest friends - Steve Tedesco, Craig Pettingill and Mark DiFiore - were those he met in the first grade at Monroe Elementary School, and they and the rest of "The Group," and all of John's wonderful Harker colleagues, have been his other family. A memorial will be held at Nichols Hall on the Saratoga campus of The Harker School on Saturday, October 10 at 1:30 p.m. The Harker School is at 500 Saratoga Ave, San Jose, CA 95129. Please RSVP to johnnearmemorial@gmail.com so appropriate parking, seats and refreshments may be prepared. In keeping with John's wishes and style, this event is casual. Please wear your sports jerseys, Harker T-shirts, etc. Silicon Valley Wellness Community (www.svwellness.org/). 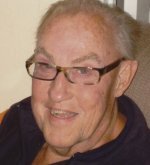 Those interested in learning more about John's journey, reading posts or leaving a message for the family are welcome to do so at www.caringbridge.org/visit/johnnear/. Cecilia Dizon was born on August 6, 1934 in the Philippine Islands and passed away on September 23, 2009 in San Jose, California. She was 75 years old. Funeral Service: Thursday, October 1, 2009, 11:00 a.m. at Church of the Chimes, San Jose, CA. 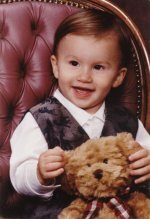 Alex James Arranaga was born on November 24, 2003 in San Jose and passed away on September 23, 2009 at UC Davis Children's Hospital after being struck by a car. Alex is survived by his parents, Jennifer Tomakin and Luis Arranaga; sister, Jordan; brother, Damian; grandparents and numerous aunts, uncles, cousins, and friends. 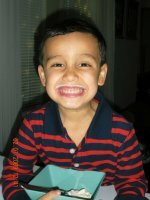 He attended kindergarten at Henry Miller Elementary School in Los Banos. For donations, please go to any Wells Fargo Bank and reference the Alex James Arranaga Memorial Fund. Funeral Mass: Friday, September 25, 2009, 11:00 a.m. at Sacred Heart of Jesus Church, San Jose, CA. Norma Berber Espinoza was born on December 20, 1965 in Michoacan, Mexico and passed away on September 20, 2009 at her residence in San Jose, California. She was 43 years old. Graveside Service: Tuesday, September 22, 2009, 10:00 a.m.
Marjatta Hurko was born on December 9, 1925 in Saukkola, Finland and passed away on September 20, 2009 in Los Gatos, California. She was 83 years old. 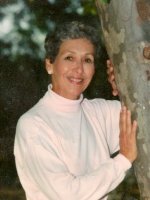 Elizabeth LINDA Danek, born on Kaua'i on July 16, 1939, peacefully passed away on September 19, 2009 at the age of 70. 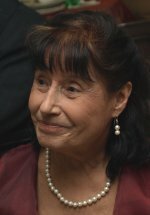 She is survived by Les Danek, husband of 35 years; daughter Toni Densing - husband Marcel and twin daughters; son Kimo Troche - wife Phyllis and five children; four great-grandchildren; two sisters Dolores Schwarz - husband Wayne and Janet Fujimoto - husband Masao; and mother Alice Cabacungan age 94. 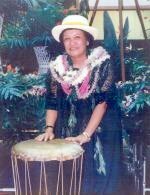 She taught Hula and Ukulele classes for 46 years in San Francisco and Santa Clara County as Kumuhula for Hula Halau 'O Pi'ilani as well as received honors in various hula competitions in California, Hawaii and many other states. She was well known to all as NT Linda. Anthony Passanisi was born on September 23, 1953 in San Francisco, California and passed away on September 16, 2009 in San Jose, California. He was 55 years old. Morihisa Ogata was born on July 10, 1937 in Japan and passed away on September 9, 2009 in Campbell, California. He was 72 years old. Graveside Service: Friday, September 18, 2:00 p.m.
Helen Wolff, beloved Mother of Stephen, David, and Edward; Aunt of Stephen Scandalis; predeceased by her brother James Scandalis and nephew Randy Scandalis, died peacefully on September 8, 2009 surrounded by her three sons, who will miss her very much. 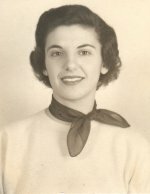 She remarked more than once that her family was her greatest achievement and source of pride, and yet her true life's work is immeasurable, because Helen was a teacher who influenced thousands of young minds; starting children on their path to adulthood, and in later years helping adults learn English and become Americans. After graduating from U.C. Berkeley in 1951 she taught grades three through six in Berkeley and in Charlottesville, Virginia. After returning to California, Helen became active in school administration and president of the PTA in the local San Bruno school district. It was when Helen became invloved with the English as a Second Language (ESL) program that she rediscovered her true passion for teaching. For the next 20 years she worked at Stanford Hospital and had a fulfilling second career teaching evening classes in Adult ESL in Cupertino. Her curriculum was rich with elements of current and traditional American culture, her classes were always full, and she was much loved by her students. Helen was very proud of her Greek heritage. She taught herself to speak Greek and twice traveled to Greece to visit her relatives there. Patricia Pall was born on January 7, 1932 in Chicago, Illinois and passed away on September 2, 2009 in San Jose, California. She was 77 years old. Edgar Thorp, Jr. was born on December 29, 1926 in Kansas City, Missouri and passed away on September 1, 2009 in Palo Alto, California. He was 82 years old. Memorial Service: Private. Please contact the family for information. Beverly Blacow was born on May 29, 1959 in San Jose, California and passed away on August 31, 2009 in Santa Clara, California. She is survived by her daughter, Vanessa. Gary Moriwaki was born on June 8, 1956 in Hilo, Hawaii and passed away on August 29, 2009 at his residence in Sunnyvale, California. He was 53 years old. Graveside Service: Friday, September 4, 2009, 2:00 p.m.
Pedro Rodriguez was born on December 26, 1948 in Juarez, Mexico and passed away on August 27, 2009 in San Jose, California. He was 60 years old. Jennifer Michelle Anthony, February 22, 1969 - August 27, 2009. Loving mother of Rodney Portillo, Hayley Correa Anthony, and Colby Anthony. Beloved daughter of Merle and Judy Anthony. Treasured by siblings Rob Anthony, Janet Floyd (Jim), Frankie Anthony, and Kristen Escamilla (Alex); grandmother Leona Larson, aunts, uncles, nephews, cousins, and many friends. A celebration of Jen's life will be held on Friday, September 18 at 11:00 a.m. at Bethel Church, 1201 S. Winchester Blvd., San Jose. Donations in her honor can be made to Bethel Church youth or children's ministries or Kaiser-Santa Clara Hospice. Graveside Service: Thursday, August 27, 2009, 11:00 a.m.
Ana Pereira was born on December 13, 1919 in Ribeirinha, Azores and passed away on August 21, 2009 in San Jose, California. She was 89 years old. Norman John Van Wyk, loving husband and father, passed away peacefully at home surrounded by his family after a long battle with prostate cancer. He is survived by his wife, Carol, and children, Kim Van Wyk, Jill (Paul) Carlson, John (Amy) Van Wyk, and grandchildren, Jack, Claire, Katarina, and Myles. A Memorial Service will be held at Communities of Hope, 5150 Camden Ave, San Jose, 95124, Saturday, August 29, 2:00 PM. Graveside Service: Friday, August 14, 2009, 1:00 p.m.
Alfred Williams was born on August 19, 1943 in Boynton, Oklahoma and passed away on August 5, 2009 in Santa Clara, California. He was 65 years old. 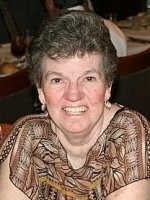 Ellen Womack of Mountain View passed away peacefully on July 25 at Stanford Hospital, following a short illness. She was born in Menlo Park, September 20, 1961 and graduated from Menlo Atherton High School. 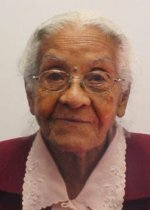 Over the years, she took pleasure in serving as a volunteer in a variety of organizations. Ellen brought light and joy to those she encountered in her path through life. Many will remember her cheerful greetings, unique humor and friendly warmth. Of all the hearts she touched, we name but a few: her husband, Cecil Womack and his brother, David; her mother, Elisabeth Seaman; sisters Peggy Wonder and Tanya Seaman; brother, Mark Seaman; her daughter Carrie and Carrie's adoptive parents, Connie and John Dennett and adoptive brother, Michael. Ellen was looking forward to the arrival of a grandson. We sadly bid Ellen farewell as we take leave of a generous spirit, while we rejoice in the beauty she brought into our lives. 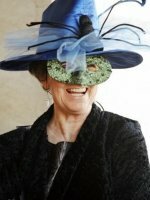 There will be a celebration of Ellen's life on Saturday, August 22, 2009, at 1 pm in the chapel of St. Mark's Episcopal Church, Palo Alto, followed by a reception. Please let us know whether you are coming, by calling 650-793-2408 and leaving a message. 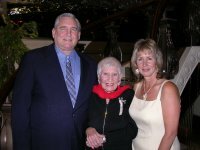 Those wishing to honor Ellen's memory may make contributions to NAMI Santa Clara County or Momentum for Mental Health. Graveside Service: Wednesday, July 29, 2009, 9:30 a.m.
Sakineh Jamali was born on January 13, 1926 in Iran and passed away on July 22, 2009 in Mountain View, California. She was 83 years old. George Naegeli, founder of Able Printing, was born on August 24, 1929 in Brooklyn, New York and passed away on July 9, 2009 in San Jose, California. He was 79 years old. George was preceded in death by his loving wife Margie. He is survived by his son, Joe, and daughters Karen, Candie, and Jan Pincus (Steve). The family invites you to attend an Open House celebration on Monday, August 24th, 5 to 8 pm at Able Printing, 1595 Meridian Ave, San Jose. Funeral Mass: Saturday, July 11, 2009, 1:00 p.m. at Church of the Resurrection, Sunnyvale, CA. Maria Donaire was born on October 24, 1918 in Matagalpa, Nicaragua and passed away in Pleasanton, California on July 8, 2009. She was 90 years old. 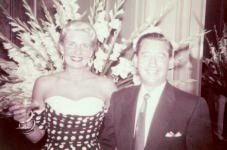 Geraldine Simrin, wife of Sam, beloved mother of Ronald, Roger, Richard and Robin, passed away peacefully Sunday, July 5th, 10 days shy of her 89th birthday. Gerry was born in Kansas City, Missouri on July 15th, 1920. She graduated from Idaho Springs High School in Colorado where she was Senior Prom Queen. 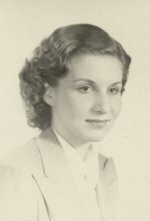 She was trained and excelled in Office Careers, married Sam in Indiana in 1941, and later moved to California. Together they raised four children in San Francisco and later Redwood City. Always interested in everything life had to offer, Gerry loved life and lived it to the fullest with grace and style. Compassionate and kind, she made the world a better place by her shining light and love of people. She always took time to tell her friends and loved ones how much she admired their strengths and appreciated their work. A light so bright will never fade away. She will remain in our hearts forever and will be greatly missed. 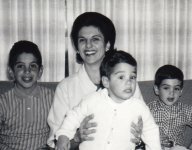 Gerry is survived by her sons: Ronald and Richard, daughter: Robin, grandchildren: Jeff, Kevin, Cathy, Kirk, Karen, Kevin, Oz, Maya and Ryan, plus numerous great-grandchildren, great-great-grandchildren, nieces and nephews. A Celebration of Life will be held at a later date. To honor her spirit, please wear bright colors. In lieu of flowers, please send donations in Gerry's name to the SPCA of San Francisco. Graveside Service: Friday, June 26, 2009, 12:00 p.m.
Cameron Pokarney, son of Daniel and Linda Pokarney, grandson of Kim White, brother of Courtney, Nicholas, and Christian, was born in San Jose, California on August 24, 1999. He passed away on June 16, 2009 in San Leandro, California at the age of nine. Cameron was a very special boy who brought love and happiness to all who came to know him. He will always be in our hearts. In lieu of flowers the family requests donations for a park bench to be placed at Vasona Park in Cameron's name. 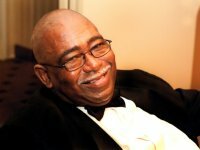 Joseph Fuller, Jr. was born in Columbia, South Carolina on November 14, 1949 and passed away in San Jose, California on June 13, 2009. He was 59 years old. Gregory Parrish was born on March 10, 1957 in California and passed away on May 25, 2009 in San Jose, California. He was 52 years old. 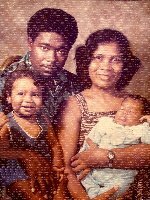 Jerelene Johnson was born on March 28,1941 in Mississippi and passed away on May 14, 2009 in Mountain View, California. She was 68 years old. Graveside Service: Monday, May 4, 2009, 11:00 a.m.
Catalina Garcia was born on January 1, 1930 in Guanica, Puerto Rico and passed away on April 25, 2009 in San Jose, California at the age of 79. She is survived by her husband of 60 years, Esteban, daughter Jenny, son Steven, and sisters Dora and Isiria. Catalina was happiest when she spent time with her family and friends. It's been 1 yr since you left us and not a minute goes by that we are not thinking of you. We still have pain and sorrow in our hearts but we find comfort knowing you are with our Lord Jesus. Nos hace mucha falta y siempre te amaremos con todo nuestro corazon. Esteban, Steven, Jenny and Tom. Interment: Scatter at Sea by boat off the coast of Santa Cruz County, California. Khamsingh Philavanh was born on March 12, 1940 in Vientian, Laos and passed away on April 17, 2009 in San Jose, California. He was 69 years old. Interment: Scatter at Sea by airplane off the coast of Santa Cruz County, California. Jeffrey Fonick was born on August 16, 1951 in Newport, Rhode Island and passed away on April 2, 2009 at his home in San Jose, California. He was 57 years old. Jeff graduated from Willow Glen High School, Class of 1969. He is survived by his sisters, Lindsey and Drucie, and his step-son, Luke. Pamela Reid was born on June 2, 1962 in San Jose, California and passed away on March 28, 2009 at her home in Santa Clara, California. She was 46 years old. 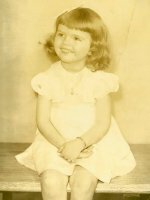 Holly Warner was born on December 26, 1937 in Evanston, Illinois and passed away on March 21, 2009 in Burlingame, California. She was 71 years old. Graveside Service: Monday, February 23, 3:00 o'clock p.m.
Leonid Ibragimov was born on December 18, 1929 in Ukraine and passed away on February 22, 2009 in San Jose, California. Graveside Service: Wednesday, February 25, 1:00 o'clock p.m.
Monica Machado was born July 11, 1957 in Merced, California and passed away on February 14, 2009 in Santa Clara, California. Monica is survived by her husband, Allan Hillman, and sister, Helen Machado. Graveside Service: Thursday, February 12, 1:00 o'clock p.m.
Donald Rannals was born January 19, 1944 in Los Angeles, California and passed away on February 8, 2009 in Santa Maria, California. Donald was the owner and operator of Don & John's Auto Repair in Sunnyvale. He retired in 1999 after 32 years of service. Donald was preceded in death by his daughter: Tammi Archie. He is survived by his wife of 37 years: Anita Rannals; his children: Timothy Rannals, Donnel Almaguer, Debra Yourish, Gordon Little, Samantha Rannals, and Casey Rannals; 16 grandchildren; 2 great-grandchildren; 2 brothers and 6 sisters: Francis Renkin, Elizabeth Castleberry, Anita Poe, Arlene Heinkel, Jean Rannals, Betty Antonucci-LaRoque, Alan Rannals, and Chris Rannals; and numerous nieces and nephews. Graveside Service: Tuesday, February 10, 1:00 o'clock p.m.
Charles Poe was born December 27,1937 in Lelia Lake, Texas and passed away on February 5, 2009 in San Jose, California. Charles retired from Home Guard in 2004 and he was also a long time manager of Georgio's Restaurant in San Jose. Charles was preceded in death by his son: Danny Ray Poe. He is survived by his wife: Anita Poe, daughters: Annette Gamma, Vickie Opray Poe, and Alma Poe, and six grandsons and two great-grandsons. Frank Barberis passed away on January 13 at the age of 59. Frank was a resident of San Jose for 30 years.